It was founded by Anton LaVey in the 1960s, called the "Order of the Trapezoid," which later became the governing body of the Church of Satan. It brandishes the name of a dark entity considered God's enemy in many religions. It has its own priesthood. It has a coda for living, as well as a list of "sins" humans should avoid.. It has been the subject of much controversy, often spoken of in whispers cloaked in fear. But what IS The Church of Satan? Does it truly worship the devil? What do Satanism's followers have to say? 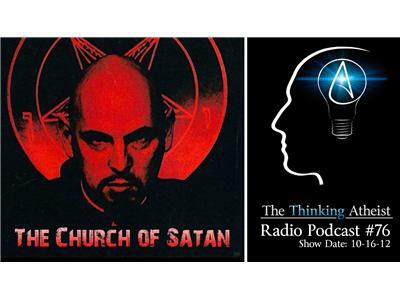 In this October podcast, we interview Church of Satan High Priest Peter H. Gilmore (and others) as we we delve into one of the world's most curious and controversial organizations.